Discover when is Halloween, get inspired for fun activities to enjoy this Halloween season, get tips on costumes and get into the Halloween spirit! Halloween falls on October 31st every year. While it is always on the last day of the month of October, that doesn’t mean you only get one day to celebrate. One of the best parts of Halloween is how long it lasts. Throughout the entire month of October, you can participate in fall activities, send Halloween cards, enjoy Halloween treats, and prepare for the biggest fright night of the year. What are you planning to do this Halloween? If you are not sure how to get into the spirit and start celebrating – never fear! We’re here to share fun suggestions, scary ideas, and awesome costume concepts to get the whole family ready for Halloween. It's not just about kids trick-or-treating. Halloween is a fantastic time of year that everyone can enjoy. There are so many entertaining activities to do surrounding Halloween night. No matter your age, you can get in on the excitement! Here are a few ideas for ways to make your Halloween frightfully fun. It’s hard not to decorate for Halloween. With all of the pumpkins, gourds, skeletons, and cute accessories available, decorating for Halloween is easy. You can even create your own decorations! As always, you should buy a few pumpkins to carve. It’s a fun and creative way to get the whole family in the Halloween spirit. Want to have a really great Halloween? Surround yourself with friends and family by hosting a Halloween party. Ask everyone to bring a scary themed treat, get lots of candy to pass out to the trick-or-treaters, and don’t forget to download a spooky soundtrack. Send out Halloween party invitations soon so that everyone can get ready and get excited about your incredible Halloween bash. If you enjoy a good fright, this is the perfect activity for you! Every year, new Halloween movies are released in theaters. 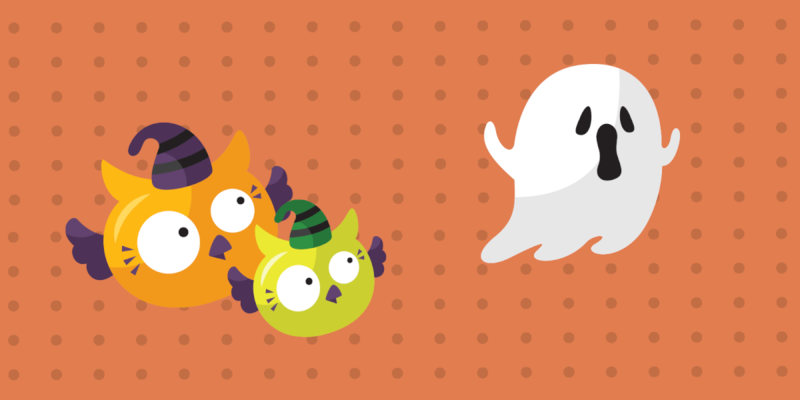 They range from silly to spooky, and there are often family-themed Halloween movies hitting theaters as well. For a great night at home, you can always stream some of the old Halloween classics. It's a simple way to get into the spirit of the season! Are you planning to go on a Halloween date? While you might not see Halloween as a romantic time, it absolutely can be one. Going out on Halloween is an excellent way to break the ice. Wear fun costumes, eat themed foods, and create a memorable date you'll never forget! You can also plan a romantic date by adding a hayride or a frightening one by going to a scary haunted house. Just check with your date first to make sure they are okay with a good scare! You might think that you have to stay true to traditional Halloween costume themes – but that's not true. Halloween is a time to express yourself and dress in unique costumes. While the standard pumpkin, ghost, skeleton, and witch are great, you can also think outside of the box. Read on for some fun ideas you can use to make your Halloween costume stand out this year. For your little one’s first Halloween, you have to make it special! Maybe they won’t remember that they dressed up, but they’ll treasure the photos you take of their first Halloween costume. One great way to get your baby involved is to create a family costume that they can wear as well. Movies are a great way to find inspiration for this type of family theme. Making your baby a Yoda, a Cowardly Lion, or a tiny Peter Pan is an adorable way to build a family costume you’ll remember fondly as they grow. Just remember to ensure you make the costume cozy and warm so your baby can have a comfortable Halloween. What a wonderful time! Your baby has grown up just enough to know that Halloween is special and they’re probably pretty enthusiastic about dressing up. You can choose which costumes you will wear together, and family costumes are still a great idea for this age. Find a few family costumes that you like, and ask them to choose their favorite. Little superheroes, adorable animals, and tiny magical creatures are popular options. Luckily for parents, there are many costume companies that create costumes for the whole family in a variety of themes. This is one of the most exciting times to experience Halloween! The school parties, the costumes, and the main event of trick-or-treating are entertaining for children this age. To find good Halloween Costumes for kids, you should see what they enjoy that year. Is there a special animated character they love to watch? Are they in a sport or club that they have a lot of fun doing? Help your child to enjoy Halloween even more by making their costume something they’ll be proud to wear. If they aren’t sure what they want to be, get them involved in creating their own costume. There are plenty of patterns and DIY craft instructions you can use to craft a costume that they will feel happy about wearing. Even better, you’ll have a lot of fun creating it together! The costume you choose depends a lot on what you'll be doing for Halloween. Going on a date? Opt for something simpler. You don't want to be lugging around massive props or wearing something that's difficult to sit down in like a boxy robot costume. If you're going to a party, check if they're having a costume contest. If they are, you better bring your A-game! A big trend for adult costumes is coming up with something unique or topical to wear. Keep your eyes open for a costume that's a good conversation starter, and you'll be making new friends at the party in no time! It’s better to plan your Halloween activities sooner rather than later. The longer you wait, the fewer decorations will be available, and the more costumes will sell out. You also don’t want to miss out on the perfect pumpkin to carve! Enjoy this Halloween season more by planning well. Schedule your party early, send invitations well in advance, and come up with your costume theme right now. That way, you will be able to fully enjoy this scary season and not be rushing around at the last minute trying to pull everything together. Have a fun and spooky Halloween season!